The Year 7 students at Corpus Christi College in Bateman enjoyed an enlightening experience of compassion in action through an activity called ‘Prayer Bears’. Photo: Supplied. The Year 7 students at Corpus Christi College in Bateman enjoyed an enlightening experience of compassion in action through an activity called ‘Prayer Bears’ this past Christmas. The joint effort between the Religious Education Staff and the Ministry Team led by the Christian Service Learning Coordinator allowed the students to be engaged in learning about the power of prayer and witnessing social justice in action. It involved them creatively decorating bears with an accompanying prayer scroll intended for those in the community who are in hospital during the Advent and Christmas Season. 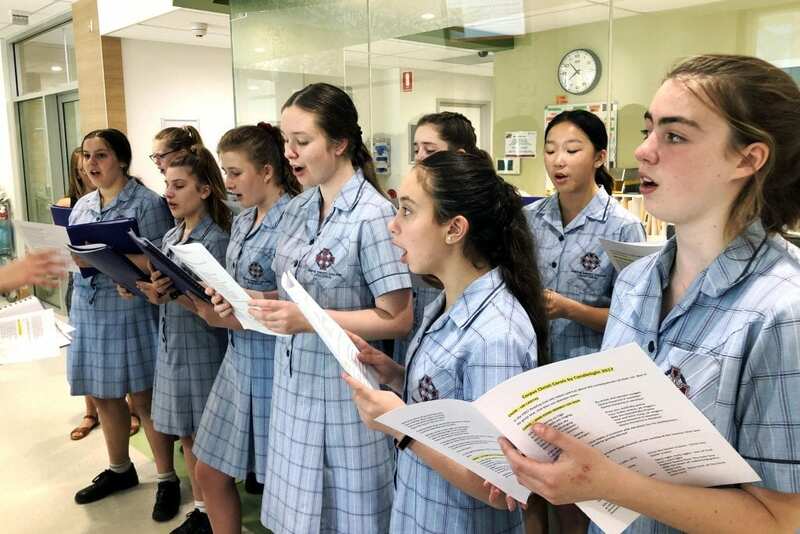 A selected representation of staff and students from Year 7 to Year 10 with the College Choir visit St John of God Hospital in Murdoch and presented the prayer bears to the children in St Michael’s Ward. They also provided some Christmas cheer through the singing of carols throughout the hospital. Coordinator of Christian Service Learning at the College Katrina Thomas said the opportunity was a wonderful way to see students putting their faith into action. “Students loved designing and creating the bears and then writing a beautiful prayer,” Miss Thomas said. “When you see the face of the children receiving the bear or the parents, something inside them just lights and your heart fills with joy!“ she said.